Install bright lights in dark corner and along stairs. Use non-slip flooring or wall-to-wall carpeting. Buy heavier chairs that won't slide backwards or topple over. Choose furniture with rounded edges. Put a coloured strip on the edge of hard-to-see steps. Use a shower instead of a bathtub. Don't smoke especially in bed. Make prearrangement with your neighbours in case of emergencies. From the table , the Ringgit drops against all currencies except Thai Baht. The largest fall is the exchange rate against Singapore Dollar, a whopping 66%. M - Can you send me to the airport? S - Can you take me to the airport? M - I am going to Ipoh, you can follow me if you wish. S - I am going to Ipoh, you can come along if you wish. M - The impatient driver in the BMW horned at me. S - The impatient driver in the BMW sounded his horn at me. M - My son is still schooling. S - My son is still at school. M- My mother has gone marketing. S - My mother has gone to the market. M- My boss fired me for coming to work late. S - My boss told me off for coming to work late. M- My friend is attached to Petronas. S - My friend is working for Petronas. M - When you go to Muar you can put up in my brother's house. S - When you go to Muar you can stay in my brother's house. M - I bought this shirt at a cheap sale. S - I bought this shirt at a sale. M- Last time my father was the manager of this company. S - Previously my father was the manager of this company. Wear loose clothing and sleep on your right side to reduce the burden on your heart. At the same time it facilitates the functioning of the internal organs such as liver and intestines. Soak your feet with warm water to stimulate blood circulation and it helps you to sleep better. The best time to sleep is between ten to eleven o'clock and the best time to get up is between five to six o'clock in the morning. When you are up and about, open the window to receive circulation of fresh air into your room. Take a glass of water when you get up. It is a healthy habit to replenish the liquid in your body. To avoid air pollution, don't store many things in your bedroom. Keep your room spacious. Things just happened sooner than expected. The feng shui master's predictions for May came true just right after my posting on April 21, 2008. According to the front page headline on April 24 it says after quarrelling with his wife, the husband commits suicide by cutting his vein as well as shooting himself to death. It happened on April 23, 2008. So in the month of May be cool and stay calm. The other piece of news is that a buffalo still manages to attack people and run into a police station after being shot at 15 times. It happened on April 22, 2008. Look at my posting on April 21, 2008 for the predictions in May 2008. "If you don't listen to me, I'll whack you!" Don't use threatening words like this when you are angry. You have to be patient with your child. Do not scare your child to suppress his determination. He will not accept it. You should talk to your child with reasons so that he understands. "If you don't listen to me, I will not want you anymore!" Your child will not be able to understand the meaning of it. Most children are afraid to leave their parents. Such words will make your child thinking about it and he will be very worrisome. He will forget about the mistake that he has made earlier. NURIN stands for Nationwide Urgent Response Information Network. It is an early alert system for missing children. It is mooted after the brutal and tragic death of Nurin Jazlin binti Jazimin. 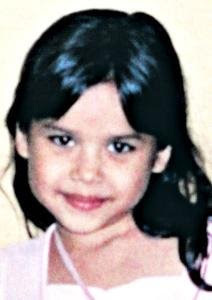 She was reported missing on August 20, 2007 and subsequently found herself stuffed inside a brand-new gym bag in front of a shop on September 17, 2007. She was 8 at the time of her death. Someone commented that it was parental negligence. It is very important not to let your young child out of your sight when you are outside with him. Furthermore, teach your child to stay close to you. If missing, you will not be able to find him in a crowd easily. The other thing is that you don't threaten to abandon a slow-moving child in a place like a mall where there are many people around. Tell your child if he can't find you, do not panic and run about. He should go to the information counter and ask for help. Start saving now for retirement. You never know how much you need during your retirement with inflation factoring in. Save and as long as you save every month, even for a small sum, it will grow into a substantial amount. When you start saving early the compound interest will work wonder for you. Always pay your credit card in full before due date. Credit card debt is bad debt. Once in a while give yourself a treat. You need a break too. During May, according to the local feng shui master, you have to be on the lookout while walking on the street. Someone who gets near you may run amok and attack you. Also, restrain yourself to avoid conflict with family members. If you cannot exercise patience the result can be disastrous. Cows make the headline in May. Be careful when you are driving at night in areas where there are a lot of cows. You may run into a cow and get yourself killed. Take extra care with drinking water. Make sure that it is not contaminated. Fish will die en bloc due to poisoning. The speed at which the alcohol is absorbed into the blood stream. It is determined by the type of drink and the speed of absorption. Your body weight decides your BAL. A person with a small size will have a higher BAL. Women usually get drunk faster than men because they have a lower body weight. The last factor is determined by the speed of the liver to get rid of the alcohol from the bloodstream by oxidizing it. The headline says that the wife is a gambler and she has to borrow money from loan sharks to carry on her habit. Naturally the husband is also harassed by loan sharks. Eventually, the husband can't take it any more and he commits suicide. The wife follows suit after seeing the dead body of her husband. This kind of tragic story keeps appearing in the newspapers every now and then. People don't seem to learn a lesson that gambling and borrowing money from loan sharks will lead you to desperation, despair and death. With reference to my previous articles posted on March 25, 2008 and April 11, 2008 another prediction on aircraft disaster came true. 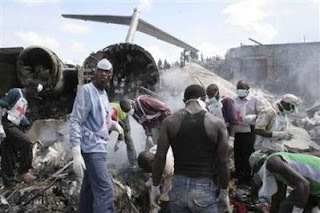 A plane crashed shortly after taking off from the Goma airport in the Democratic Republic of Congo on Tuesday, April 15, 2008. It ploughed through a densely populated marketplace near the runway killing 40 people. There are two types of people who are most likely to develop a drinking problem. The first type are those with low self-esteem. These are the people who lack self-confidence and are often self-punishing. With the help of alcohol they lose their inhibitions. The second type are those who have been overindulged in childhood. They turn to alcohol because they can't accept adult responsibilities. When you have more than one room to be cooled,consider a multi-split system. Match your unit according to the size of your room. Regularly clean the filter to ensure that the unit is functioning at optimum level. Set the temperature at 25 degree C. It is a comfortable temperature and yet it does not consume too much energy. The most daunting task for a first-time job seeker is to get a good starting salary. They are some things you can do to get a better deal from your potential employer. Do homework to find out the salary ranch of the post that you are applying for. Ask people who work in the same industry or from the company that you are applying for. Look for joy-hunting websites. Refer to career magazines. Elaborate your accomplishments during the interview by using action words such as I supervised, I created and I led. Most important of all, your ability to speak well in more than one language will put you in good stead. Be prepared to response to objections from your potential employer to pay you the salary that you know is the market rate. A new brand of toothpaste by the name of "Oral-Me" has just hit the market and it has caused quite a stir in Malaysia. What do you think of it? 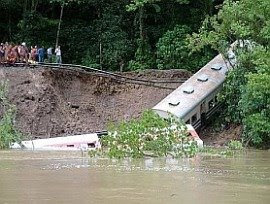 According to my article posted on March 25, 2008, the predictions by the local feng shui master about a train making headline and water-related disaster came true. A train carrying 41 people in Sabah plunged into the fast-flowing Padas River killed two passengers. They were believed to have drowned in the tragedy. It was front page news in major newspapers on April 10, 2008. The accident took place on April 9, 2008. * Olive oil: It's for normal consumption so it is safe to apply. The only drawback is that it is oil-based so it does not go well with latex condoms. * Vitamin E: Remove the oil from the capsule and use it for lubrication. Again it is oil-based. It may weaken the effectiveness of latex condoms. * Albolene: It is a moisturizing cleanser that contains mineral oil, petrolatum, paraffin, ceresin and beta-carotene. It is not recommended to be used with condoms. * Sylk: It is an extract from kiwi-fruit vine and citrus seed. It also contains vegetable glycerine. Since it is water-based it does not interfere with latex condoms. * Aloe Vera gel: It is normally used to heal burns and reduce skin irritation. It turns out to be an effective lubricant for intimacy. A picture on the wall is just to beautify and decorate the place. However, according to feng shui masters you may get more than what you asked for. For example, when you are born under the sign of rabbit and you put up a fearful picture of a tiger on the wall . It's going to be a grave mistake. Cats are adorable animals. I like cats too. Hanging a picture of cats on the wall is a no-no if your son or daughter is born under the sign of rat. In addition, you have to be careful with the animal toys that your children are playing with. Most financial planners suggest that you keep the ratio well below 50 per cent. It means that your total debts should never be more than half of you total assets. According to financial planners your loan commitments should not be more than one third of your take-home pay. If your monthly take-home pay is $3,000 your total loan repayments should not be more than $1,000. You should save at least 10% of your take-home pay. This is to ensure your financial independence upon retirement. It is the things-to-do file or the follow-up file. It is divided into 44 folders. The fist 31 folders are for each day of the month. The next 12 folders are for each of the 12 months.The last folder is for next year. At any time you can slot in certain item for action to be taken, say May 2nd. If you are now in the month of April, just file it under May. At the end of April all you need to do is to transfer the file to 2nd of the current month.If it it is a recurring item you will put it under next year's folder after you have taken the necessary action. By the end of the year you will put the document under May again. You can add any item at anytime at all. It is a rotating file. I find it the most useful file. It is like the bible of the office. All you need to do is to make it a habit to refer to it every morning. With this file you don't have to remember anything but you can remember everything. According to Dr Han How Chuan, Head and senior consultant, Urogynaecology Unit of the KK Women's and Children's Hospital,women can be sexually active after menopause. He recommends topical estrogens like vagifem tablets or premarin cream if pain occurs during intimacy. He mentions that they can also soothe vaginal dryness and irritation, reduce urinary tract infections,and urinary frequency and urgency. It is necessary to train your child's memory. One of the ways is to ask him to do shopping. Give him twenty dollars and ask him to buy one packet of sugar, two packets of salt, three packets of flour and four match boxes. At another time give him fifty dollars and ask him to buy one pen, two exercise books and four pencils. Find out if he can remember. Your child's memory will improve by doing these repeatedly. Playing games are good for memory training too. Playing cards are an effective tool for memory improvement. You need to remember the cards well if you want to win the game. So, a game of chess, a game of cards and other games involving memory are good for your child's memory training. Cultivate your child's observation power is another form of memory training. Ask your child to describe something after observing it for a while. Ask him to repeat a story after reading a book. Remember to praise him when he can tell a story in vivid detail. It is normal for some students to dislike certain teachers in school. However, when you treat your teacher as your friend you tend to look for his strengths, you also try to appreciate his way of teaching. Likewise you will also study hard and try not to disappoint him. When you treat your teacher as your friend you can learn a lot more than the subject itself. You can talk to him about your emotional disturbance, further education, effective study methods and many more. The teacher, in turn, will feel respected. Don't keep those things that you don't use anymore. Throw or give them away. The rule is to keep only those things that you use frequently. After using the item, remember to put it back to the original place or else you will find your household items everywhere. Store your things according to frequency of usage. The equipment that you use often should be stored in a place that you can retrieve easily. This is to facilitate you to return the item to its proper place. Use proper storage containers to house different items. Use a CD rack for all your remote controllers. Put a rack in the bathroom to store all the toiletries. Use different jars for different spices in the kitchen. Invest in high-growth areas where land supply is limited. The demand for such properties are high and prices will go up. Buy 10 to 20 per cent below market price. This will ensure that you make money at the point of purchase. Do not buy properties facing the setting sun. This is to avoid the impact of the heat. Properties facing the west will fetch 10 to 20 per cent lower than those facing the east. Buy properties facing parks or lakes. They fetch a premium over others as these properties are breezy and cooling. Corner lot is always a better buy. For one thing it's easier to carry out renovations, and for another it has a wider frontage if it is a shop.